No matter if you are going to a ball game, camping or simply enjoying time with friends and family outdoors, kids love to have their own chairs, too. We recognize that fact here at Everywherechair.com and have a vast array of chairs for kids to choose from. Add a wonderful kids chair to a bedroom, or a summer chair to lounge out by the pool. They will surely love to have a chair that they can call their own. After a long winter, baseball season is here. If you have a kid that is a baseball fan, the MLB Kid’s Director’s Chair by Guidecraft is the perfect way to accessorize their bedroom. This officially licensed piece of Major League Baseball furniture will have them dreaming like an all-star. Regardless of their favorite team, we have them all in stock and available. The canvas seat and back are imprinted with the kid’s favorite MLB team logo. The seat height is 12 inches tall so your little ones will surely get in and out of the chair comfortably. Right now you can experience a great sale price to kickoff the baseball season. The beach is certainly a popular spot for kids during the summer time. The Wearever Kids Backpack Beach Chair will be the prefect kids chair for any beach excursion this summer. The Wearever Kids Backpack Beach Chair allows your little ones to carry their own chair in a backpack style. This chair is an ultra lightweight of 3 pounds. When the kid’s chair is folded up it doubles as a backpack for small items. Your children will easily be able to take all of their favorite beach toys with them. 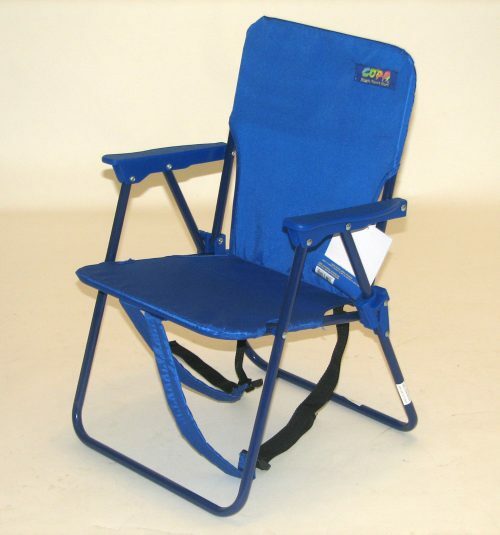 For a great low price your kids can have their own chair for the beach, backyard, ball games and any other event. As a special bonus you will also receive free shipping with this kids chair. Sometimes kids just need to kick back and relax after a long day. The Kids Folding Rocker is a great way for your kids to relax in their own comfortable chair. The Kids Folding Rocker is constructed of recycled PVC plastic, so you will have no worries about weather damages. This kids chair is perfect for the pool, backyard or in a playhouse. Most children from the ages of 2-8 years old will be the perfect size for this relaxing piece of children’s furniture. The easy fold up design will allow your children to transport this chair with ease. The Kids Folding Rocker is available in 3 different design colors. For under $20 your children will be relaxing in style. Beat the rush this spring and summer. We have other kids chairs for you to choose from. Pick up yours today. You can view them all today at Everywherechair.com. Enjoy New Deck Chairs This Spring!Portable Tables for Summer Fun!